Find seven to ten people to join your team. 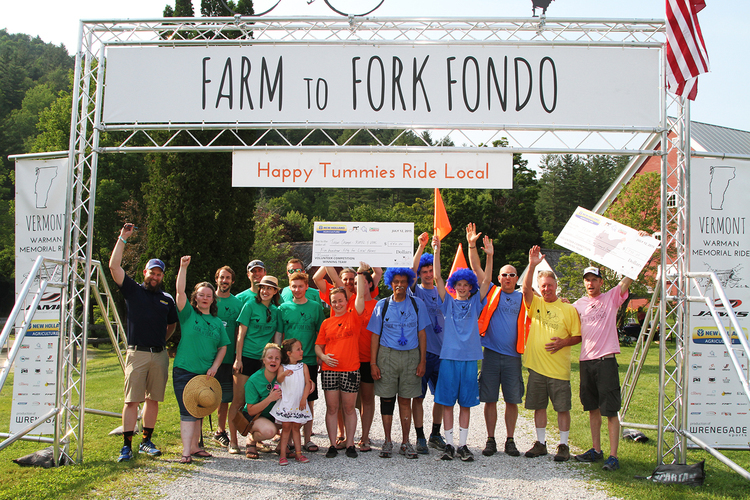 Volunteers should be able to attend Farm to Fork Fondo on the day of the event for at least four hours at a time. Volunteers should expect to be busy! Volunteers will sign up for various jobs, like filling water coolers, arranging gourmet treats at aid stations, checking riders in, answering questions, and, of course, cheering the riders on and raising awareness of your project or mission. We want to make your day fun, comfortable, and memorable! Lunches and a refreshment tent will be provided. We are able to provide refreshment for 80 volunteers per event (80 volunteers across eight teams for the whole event.) If your team is connected to a school class, athletic club, summer camp, or other group that could easily recruit more than 10 young people, your team captain should communicate with Wrenegade Foundation to get approval for a larger team. If we can accommodate larger groups, we certainly will!